Product prices and availability are accurate as of 2019-04-24 19:40:52 UTC and are subject to change. Any price and availability information displayed on http://www.amazon.com/ at the time of purchase will apply to the purchase of this product. 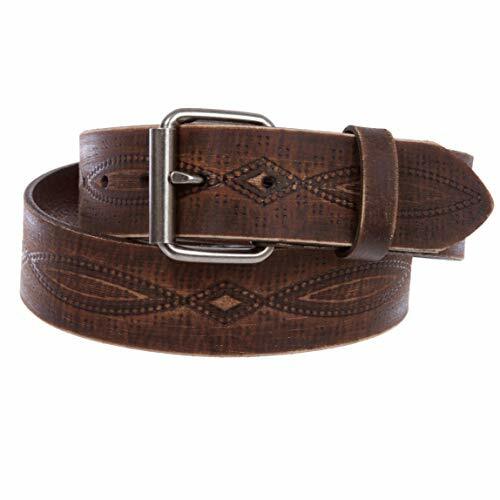 This embossed belt, made of 100% genuine one thickness full grain oil-tanned soft leather, for casual wearing or wear with jeans; This belt comes with roller buckle, snap on, removable, interchangeable. You may want to find different styles of 1 3/4" belt buckles for replacement in our store to create your own unique designs. 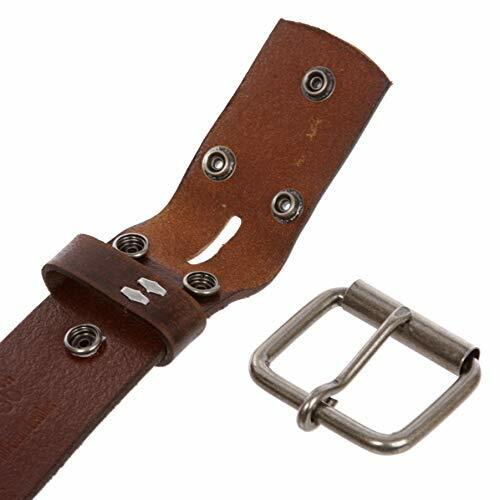 This belt is specifically designed in a way that make it possible for helping easily interchange your favorite belt buckles without any tools. 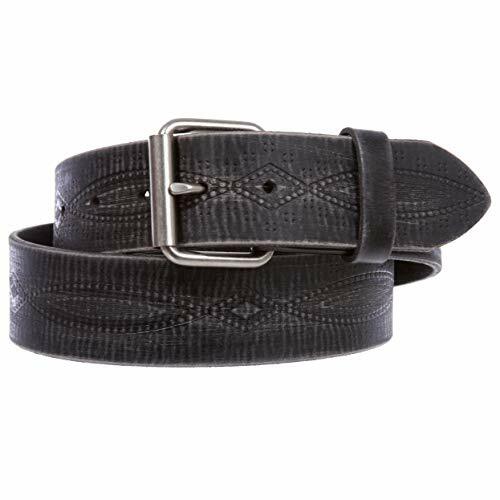 Only one thing needs to be considered when you are picking up buckles for this belt - the inside width of the buckle or swivel must be at least 1 3/4". 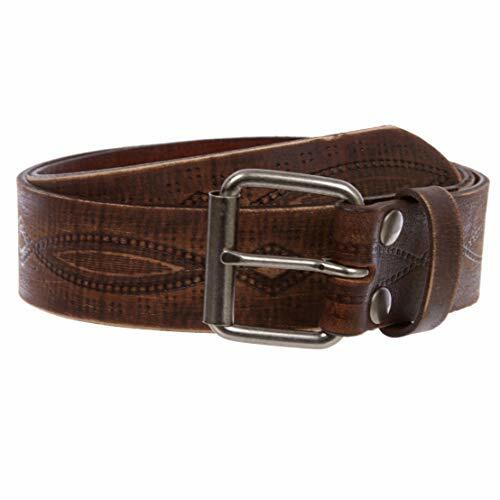 This belt size is measured from leather end at buckle to the center hole at tip end. Order at least one size larger than pants size.